It’s that time of year. Spring has been sprung all over and I don’t know about you but I always clean out the garage, the closet, the spare room … whatever. This year, that process includes The Blog. Don’t worry, though. I’m not shipping this site out to the local thrift shop or anything. I’m just going to rearrange a few things and let you know what my new project is for this year. I just put in a new WordPress theme. I’m not fully sold on it. Let me know what you think … meh or yah? As far as photography goes, I still love film. As a matter of fact, I love film more than ever. Last year solidified that deal for me. Film has made me love digital even more, too. So, I’m going to take all that good stuff from last year and move forward. Where am I going with it, you ask? Hmmm … I found a clever little place that seems to just be full of people just like me. I found my peeps! For me, it’s a great way to learn and share online with other photographers. And, there’s a goal-driven purpose through lessons and challenges. I like that. There’s a mentor to work with a whole cohort of others who are in different stages of learning and a master from whom I can learn all the secrets of the universe. Hopefully–that’s the promise anyway. I’ll share more after I’ve been going for a while. I just wanted to check back into the blog-o-sphere and let you know that I haven’t forgotten about this site. I’m just busy learning! 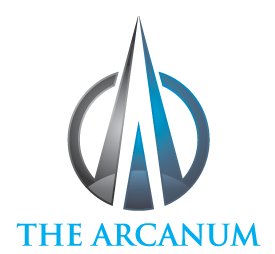 The Arcanum lost me when they said “this is the decade of the creative”. Really? One decade in the entirety of the world. This is it. If it ever warms up again out here, I must remember to stop and smell the roses … of they ever bloom again. But I’m glad that you’re around. That’s good on both counts.